Glitter-where have you been all my life? Okay, a long long long time ago (when I first started stamping) I bought a glitter stamp pad from Martha Stewart and never really fell in love with it. Flash forward years later – Glitter is my new love! I just looooooooooooooooooooove how this looks! Granted, I am covered in glitter from head to toe and so is my poor little Scottie by the end of the night! lol. So in order to achieve this look – I used double sided adhesive sheets and just rubbed the glitter in stages so that I could reuse it later. It’s not too hard once you practice a few times. 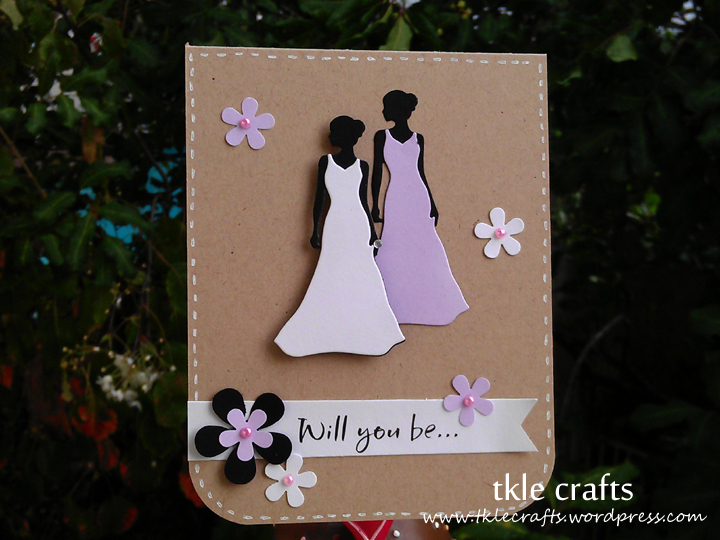 Below is the very first glitter card I made. I tried using the distress glitter on this dress (do you recognize the peacock color?) and it didn’t turn out too bad. I think I will stick with the Martha Stewart glitters because I love the brightness and shine it gives off. Absolutely stunning! Love Love Love. 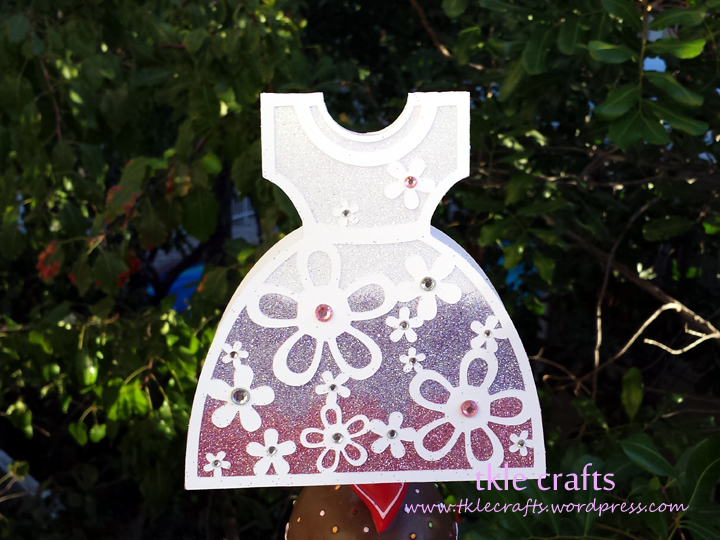 Recipe: Silhouette, Martha Stewart Glitter, Distress Glitter, Bling, and Double sided adhesive sheets. I cannot tell you how much I am in loooooooooooooooooooooove with this die! It’s soooo adorable! The possibilities are endless~! I added sparkles to the wedding dress and a little bling for her ring. More to come! Recipe: CS from PTI, Man and wife die from PTI, ek success flower punch, pearl bling, and white gel pen.